Anyone with an iCloud account can now use Apple’s iWork suite via the Web. 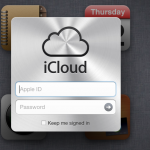 Beta versions of Pages, Numbers, and Keynote are now available at iCloud.com. First introduced at the Worldwide Developers Conference in June, iWork for iCloud is accessible from both PC and Mac computers, as well as mobile devices. Thanks to iCloud, any document changes made on the Web are automatically pushed to Mac and iOS versions of the suite, and vice versa. 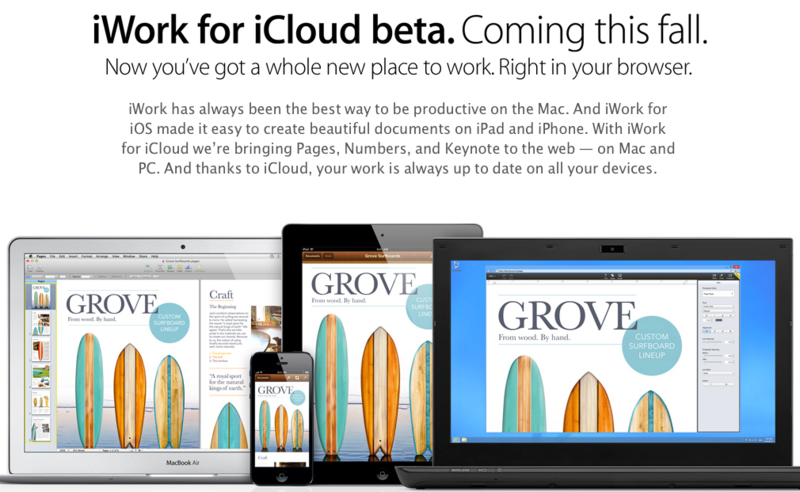 Apple has yet to announce a price for iWork for iCloud. It is possible that it will remain free even after exiting beta. 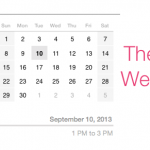 First launched for Mac in 2005, iWork is Apple's alternative to the Microsoft Office suite. The Web version is the first that is accessible to PC users. For more information, see: AppAdvice Goes Hands-On With iWork For iCloud Beta, and Edit Documents In Your Browser With iWork For iCloud.